The choice of the water heater you buy is very important. You have to balance your family’s hot water needs and your spending on this important resource among other things. That is why Rinnai water heaters are worth a second look if you want the very best hot water system use and maintenance experience. A traditional water heater comes with a tank that has to constantly hold hot water. For this to happen, this system constantly uses energy so that hot water is available whenever necessary. This usually results in high gas bills. However, tankless water heater helps save on these costs significantly as it is more efficient. This top rated tankless water heater only heats up the water when it is needed; which is why it ends up using up to about 40% less energy than a traditional water heater. While all systems can break down at some point, Rinnai water heaters tend to be quite reliable in comparison to traditional water heaters. You can go for much longer periods of time without needing to do major repairs on this type of water heater, unlike the traditional version. Tankless water heaters also don’t have issues with leakages and breakages, which means you will not have to worry as much about finding your home flooded as it sometimes the case with traditional tank-based water heaters. A traditional water heater has many parts, and often, when it breaks down, the entire water heater requires replacement. However, a tankless water heater is made up of many removable parts, which can be replaced easily. This makes the repair costs for this tank much lower. Traditional water heating systems can only supply as much water as they have in their tanks. Once that water runs out, then some people are stuck with taking cold showers. But a Rinnai water heater never runs out of hot water. Therefore, everyone can take a hot shower without worrying that there will be no hot water left for others. While a traditional tank-based water heater can require even 16 square feet of space, a Rinnai water heater takes a lot less space as it is only as large as a briefcase. In fact, you do not have to set aside a special room to install this water heating unit, as it can go on practically any wall in your home, both inside and outside. In case you feel that a single tankless water heater will not get the job done, you can always get an additional unit and have it installed in your home. With a traditional water heater, due to its large tank, this is not always an option since too much space would be required to make this work. So, if the traditional water heater you have fails to give you enough hot water, you might have to get comfortable with the fact that some of you will have to take cold showers from time to time. You can avoid all this inconvenience by getting this tankless water heater. The tanks used with traditional hot water systems rust. Once that happens, you will often be stuck with getting contaminated hot water. Fortunately, with a tankless water heater, this is not something you will have to worry about as the unit does not have a storage tank. Water comes directly from the pipes and passes through the unit as it gets heated. 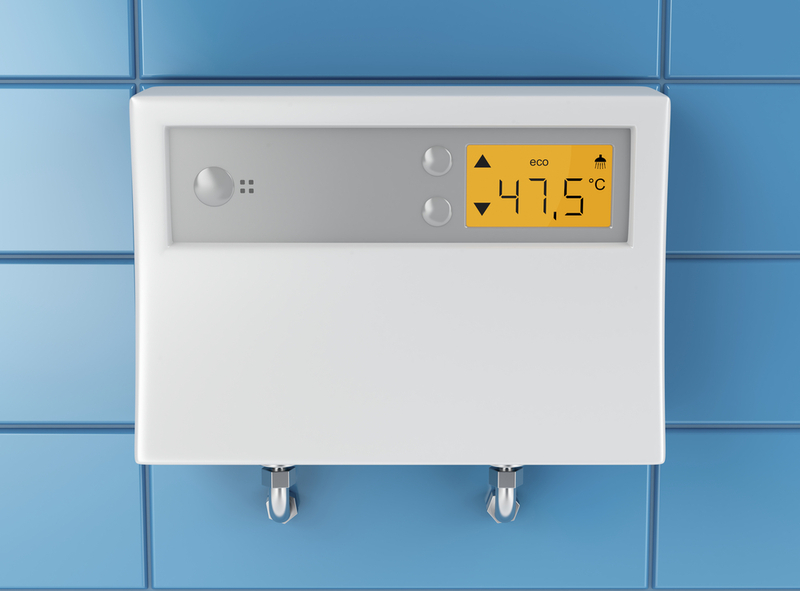 A tankless water heater tends to last about twice as long as a traditional water heater. These systems are made using commercial grade materials. Therefore, once you get one of these systems, you can expect to use it for up to two decades before having to shop for a replacement. There are many benefits to using a Rinnai water heating system, and above are just the highlights. Basically, if you never want to run out of hot water, and desire a system that is easier to maintain and longer lasting, this tankless water heating system is the way to go.